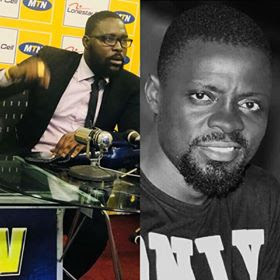 DJweezy D Boss and DJ As A Boy, two Liberian widely-recognized DJs, have been appointed as IP Ambassadors. The pair were name ambassadors at the celebration of the world intellectual property day, held on April 26 at the YMCA, by the Liberian Intellectual Property Office. Amb. Sam M. Payedoo (DJweezy D Boss) and Amb. Duplexe Ricky Taeploe ( DJ As A Boy) are the ideal Ambassadors for IP. LIPO In correspondence of Article 27 of the universal deceleration of Human Rights is responsible to administer all intellectual property matters of Liberia. Both ambassadors were thrilled to be partnering with LIPO as they took to their social media pages to acknowledge their fans about their partnership with LIPO. In their words, they promise to help in strengthening LIPO in every way necessary. They also Pointed out building a good relationship with artists, producers and record labels. They took no time in encouraging their colleagues to make use of the free registration process which run for the period of three months. C Liberia Clearly says congratulations both of you for your preferment as Ambassadors.